In the Khomas Hochland region of Namibia cheetahs are looked upon by farmers and game ranchers as an economic threat because of the animals’ reputation for attacking livestock and game species. Biosphere Expeditions has already had success in other parts of Namibia in resolving human/predator conflicts, something that this project aims to repeat. 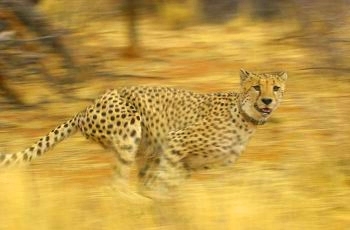 The Khomas Hochland provides near perfect conditions for cheetahs; plentiful prey and water is combined with an absence of natural enemies such as lions who are known to be responsible for killing many cheetah juveniles where the two big cat species coexist. Humans remain as the biggest threat to cheetah survival in these conditions, so it is vital that the conflict here is ended. “We believe there is enough space in this region for farmers and cheetahs to easily tolerate one another; cheetahs only attack valuable livestock and game species if there are not enough smaller, wild prey animals present,” said Kathy Wilden, Strategy Director of Biosphere Expeditions. Volunteers from the UK, and all over the world, will be working alongside local scientists to gather information about the cheetah and its interaction with prey species.